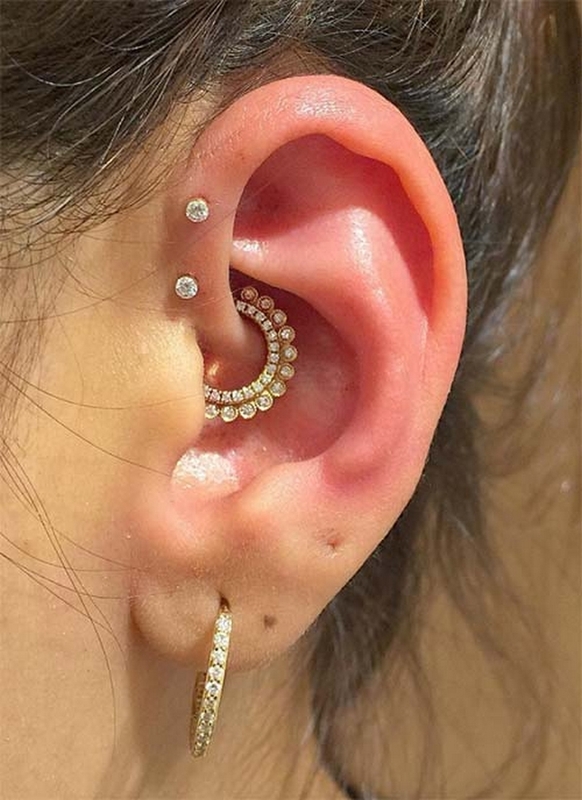 For some reasons, ear piercings have been part of human culture for thousands of years, and the practice of piercing ears has developed independently across different societies that had no contact with each other. 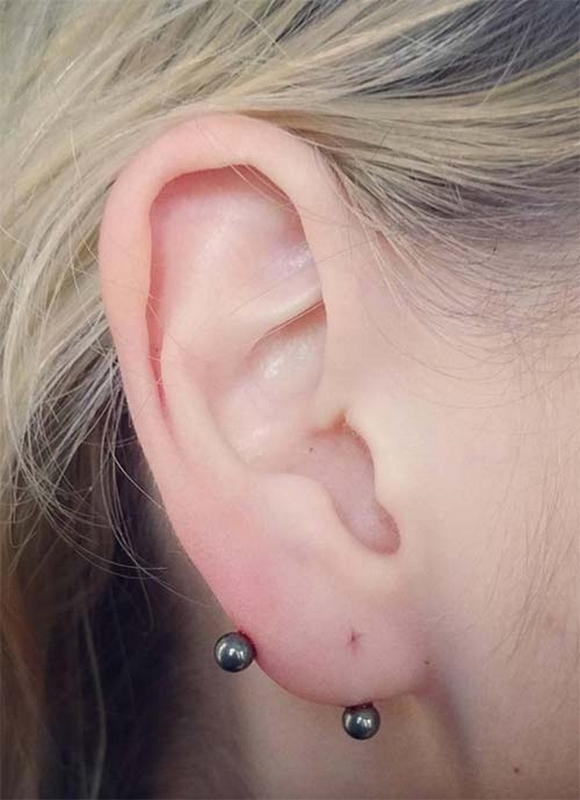 In this article I go through everything you need to know (and maybe didn’t even know you did) about ear piercings, from the history and types of ear piercings, to important safety information and style dos and don’ts. I was 22 when I finally had my ears pierced. 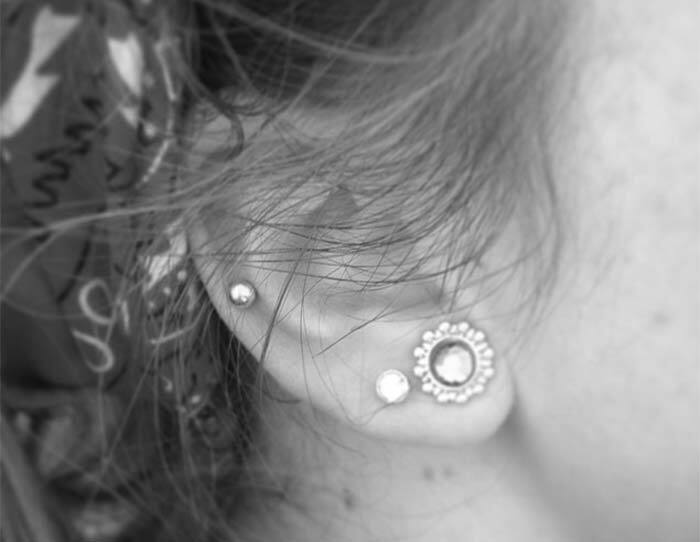 This is pretty rare – most women have their ears pierced when they’re preteens, or even when they’re babies. When you totally remove yourself from the cultural necessity of earrings, the idea becomes odd. We… make holes in our ears? We put metal through them? Imagine being an alien, and trying to understand ear piercings. Imagine trying to explain this to an alien! 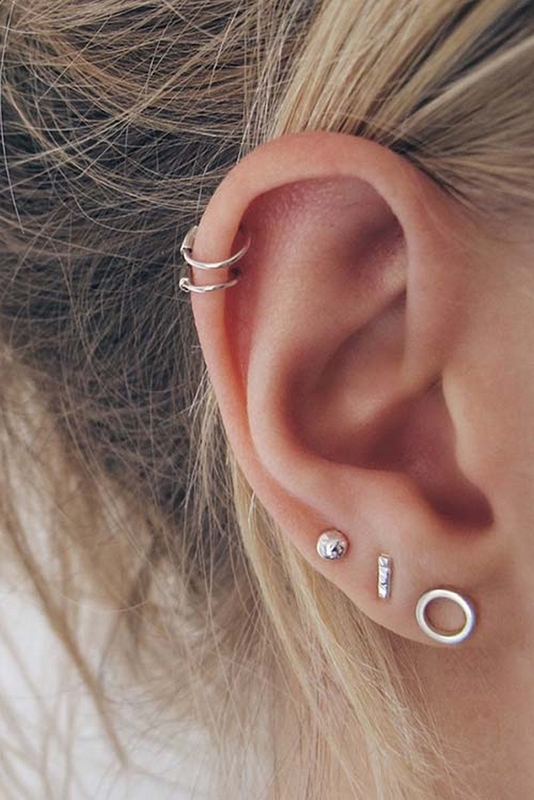 Below, you’ll learn all the details about ear piercings you should know. I’ve also compiled some of the most beautiful earrings available on the market right now, for once you do get those ear piercings done! This “mummy”, that was named Otzi, had his ears not just pierced, but also gauged (or “stretched”). This is the earliest proof we have of ear piercings, but it’s likely we have been piercing ears for much longer than the past 5000 years. Then, in the 1950s, likely due to the post war boom, women started focusing on their appearance again, and ear piercings made a huge comeback. 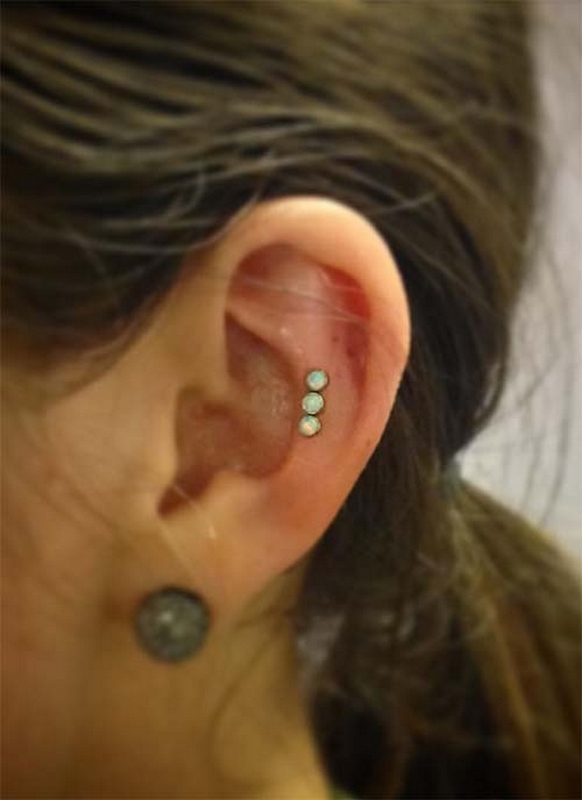 Teen girls, up until the ‘70s, even, would have ear piercing parties, where they would numb each others’ ears with ice and use needles to make holes. At some point at this time, as ear piercings gained popularity, doctors started performing the piercing procedure, since parents wanted a sterile environment. However, the conservative environment at many schools led to the banning of the wearing of earrings, although that might have been due to their association with adulthood. Whereas in many cultures all throughout the world, girls would have their ears pierced not long after birth, in the United States so called “bad girls” would have to do it in secret. It was only in the ‘80s that the mall kiosks we know so well started popping up, as well, becoming the go-to place for most people to get their piercings done, but it was until the mid-90s that the taboo of ear piercings mostly disappeared. 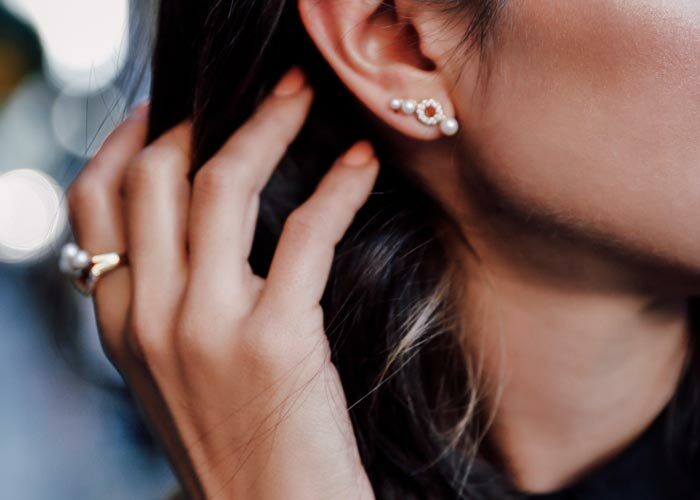 This is the classic – simple holes in the lobes, from which you can wear anything from a tiny stud to big chandelier style jewels. 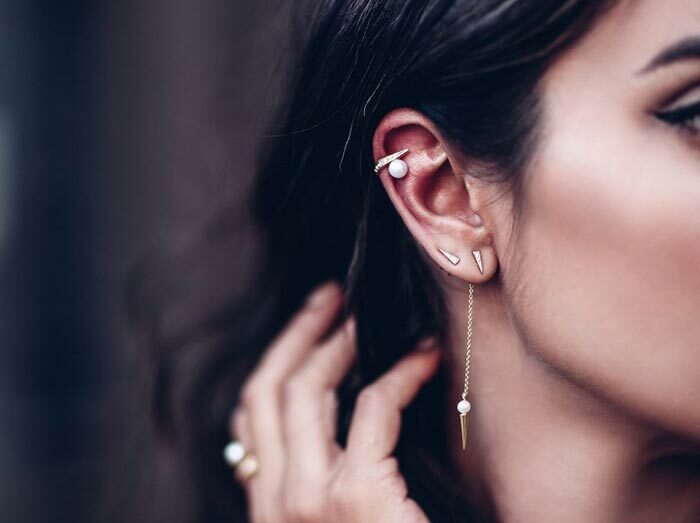 There are a ton of different earring styles to choose from, and no one will ever bat an eye. 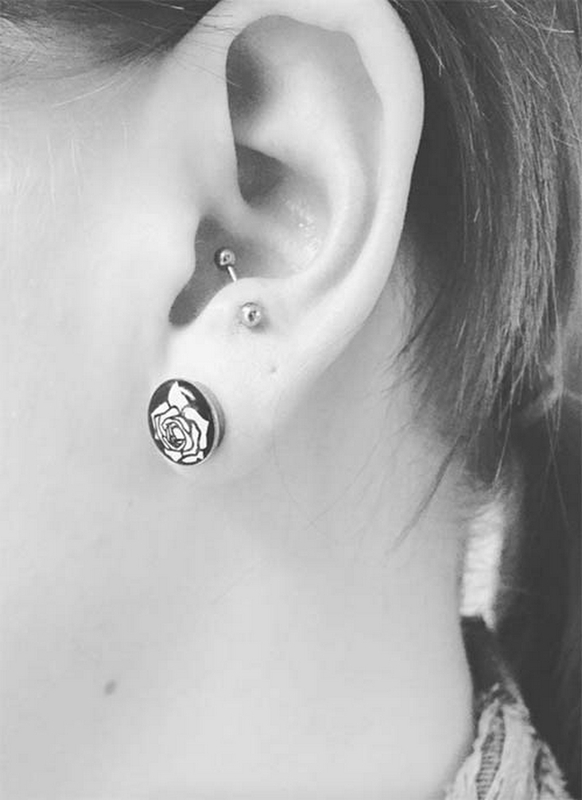 Ear gauging is a unique take on lobe ear piercings – you progressively increase the size of your piercing by wearing increasingly thicker earrings. Just avoid going super thick, or you risk splitting your ear lobe. 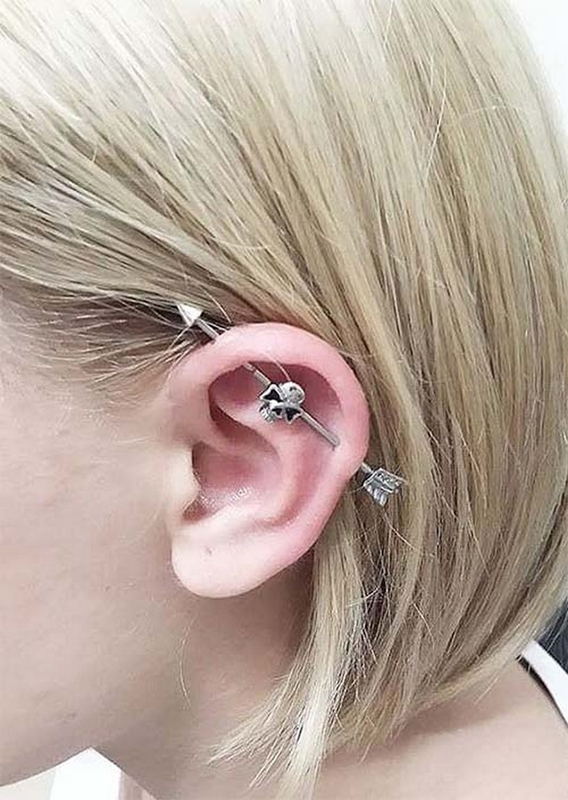 An industrial piercing refers to the metal barbell that goes through two parts of the ear’s cartilage – also normally done at the top of the ear. 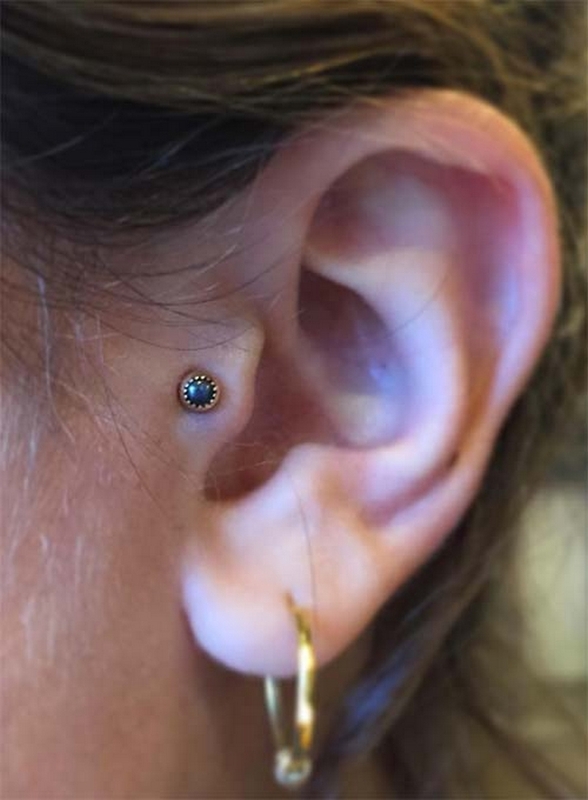 The anti-tragus refers to the inner piece of cartilage on the opposite side from the tragus – for many people, there is not enough space jutting out to actually pierce it. 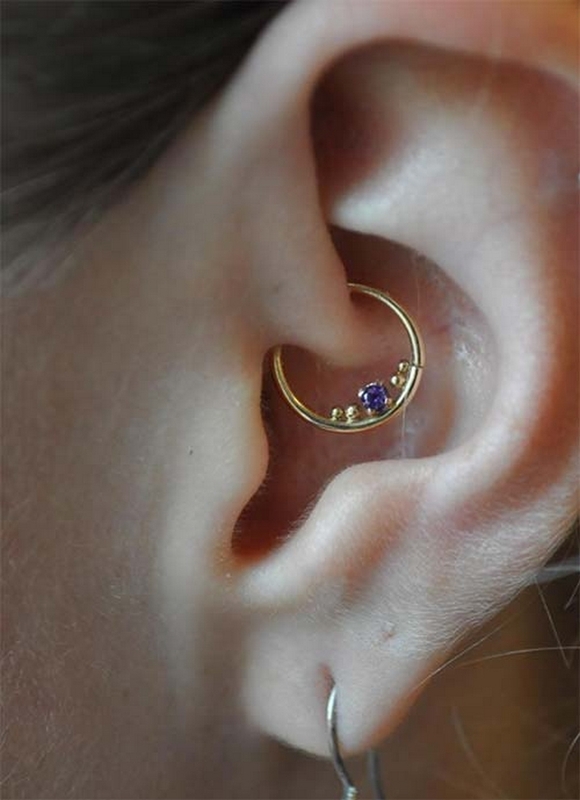 The daith piercing is a bit complex – it is done between the rook and the ear canal, and is not easily visible. 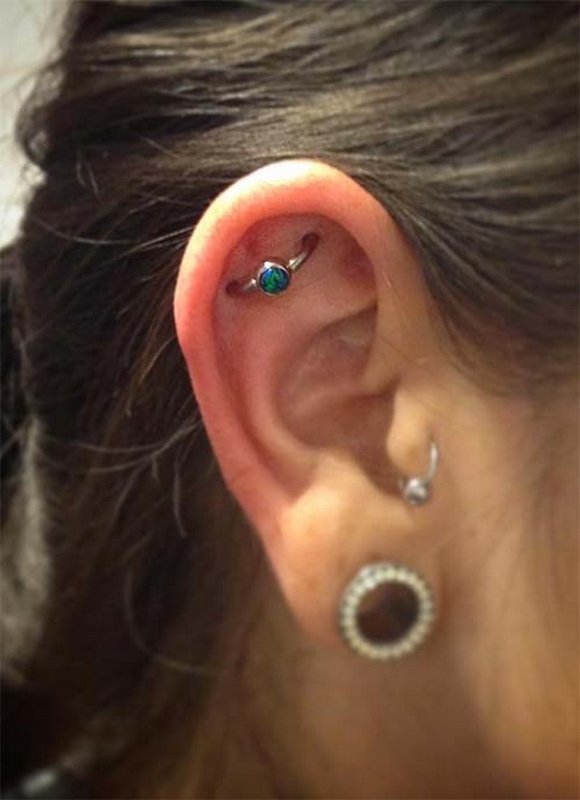 An orbital piercing is a bit like an industrial – one piece of jewelry, that goes through two parts of the cartilage. 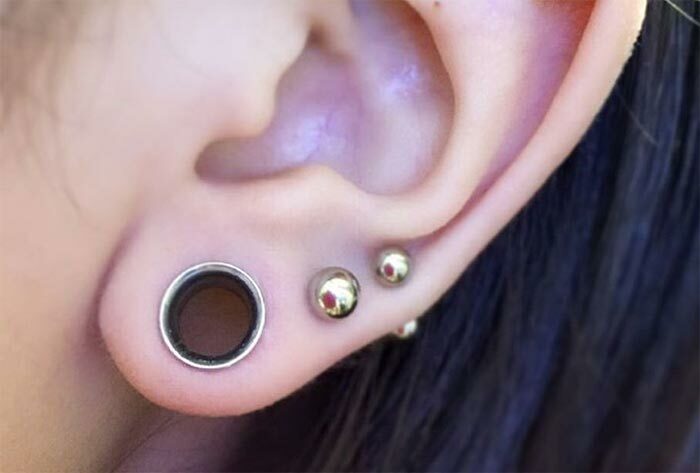 However, in this piercing the two holes are closer together, and the piece of jewelry is circular (or heart shaped). 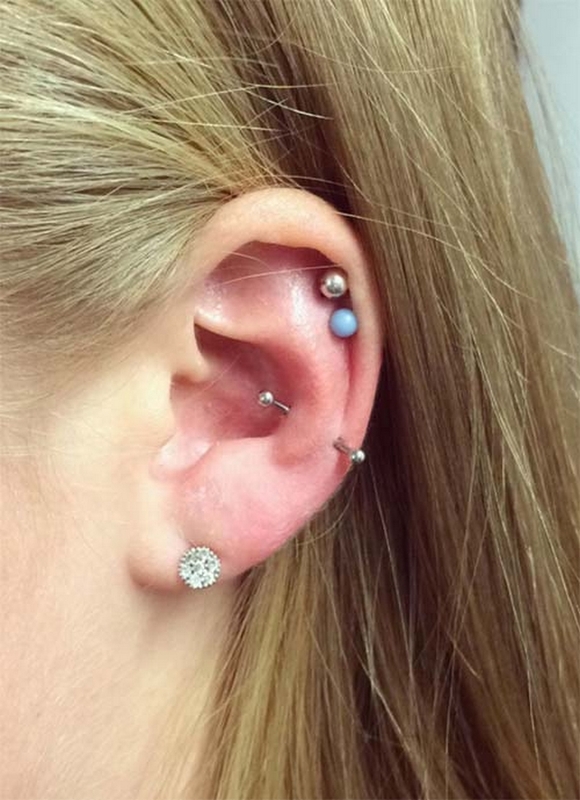 • Consider your job before adding new piercings – remember, for the first year you have to keep them in! Depending on the type of ear piercings you choose and where you decide to get your ears pierced, it’ll cost you circa $10-$100 to get the piercing of your dreams. 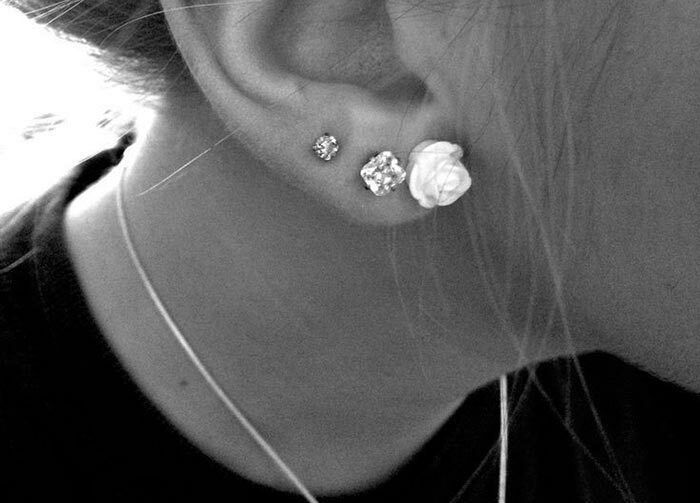 Ear piercing costs may vary depending on the popularity of the piercing studio, the city you live in and other factors. 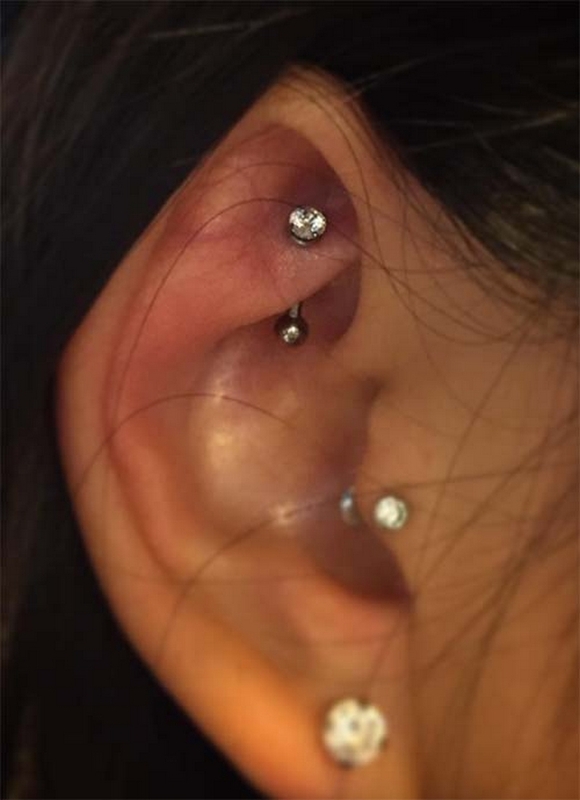 The cheapest type of ear piercing you can go for is the standard lobe piercing and double piercing, which will cost you around $10-$25, while helix orbital piercing ($50-$80), tragus piercing (around $40), industrial piercing ($35-$80), conch piercing ($40-$70) and daith piercing (around $50) are some of the most expensive types of ear piercings you can consider. Additionally, take into account any potential metal allergies. Many people are allergic to nickel (as well as white gold, which may contain a bit of nickel), while the metals best tolerated are surgical stainless steel, platinum, titanium, and 14-karat yellow gold. 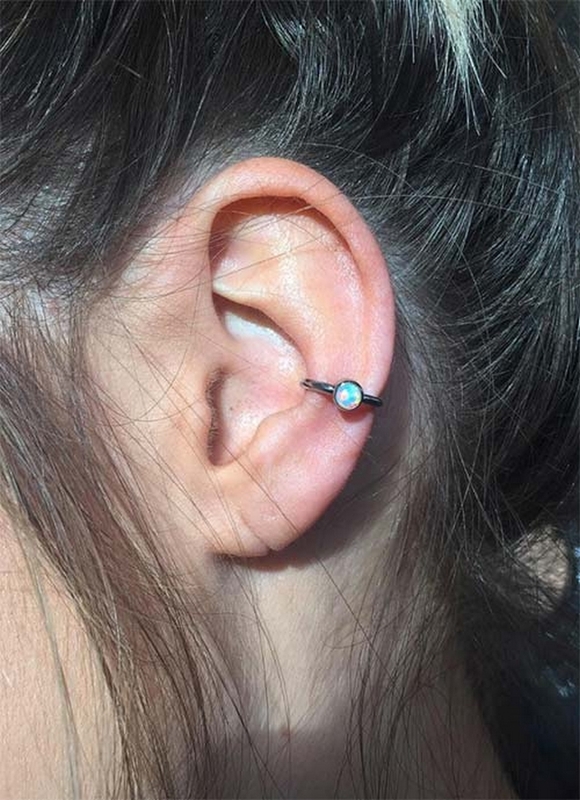 Since the fresh piercing is a wound, a potential allergy could cause a lot of problems – much more than with an older piercing.